You live the city life, Trax handles the city streets. The 2018 Trax has the agility and responsiveness that fit right in with city life. It’s efficiently powerful, the perfect size to squeeze into the tightest of parking spots and offers advanced technologies. 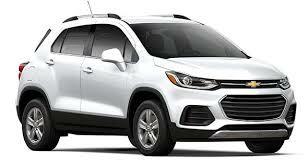 Plus, with tons of cargo space perfect for maxing out, this small SUV is the new hot spot. Of course, you’re into your car. But your car should really be into you. 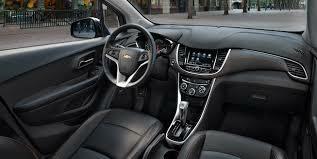 Chevrolet MyLink† and available built-in 4G LTE Wi-Fi®† make it easy for you to stay connected. Plus, Apple CarPlayTM† and Android AutoTM† compatibility help make your car even more compatible with your life. Here’s the boost you need to get up and going. Trax has a standard 1.4L turbocharged ECOTEC® engine that gives you plenty of performance pep and offers up to an estimated 33 MPG highway†. And, if you really want to get a solid grip on the road (or your day), available AWD helps to prevent wheel slip and enhance efficiency. You’re surrounded by 10 standard air bags†, a high-strength steel safety cage and 5 available advanced safety technologies. Trax is always helping you look out and think ahead. Trax features 10 air bags† and smart sensors designed to adjust frontal air bag inflation according to the severity of a crash. The high-strength steel safety cage helps shield and protect you and your passengers.